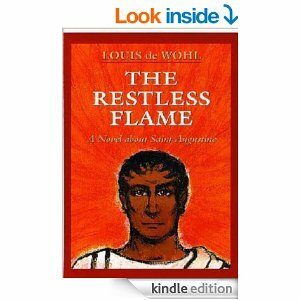 I’ve been reading The Restless Flame by Louis de Wohl, a novel about St. Augustine of Hippo. WOW! It could well be the story of my own journey. I strongly recommend it to anyone. Yes, it’s a novel, but it’s historically very accurate. De Whol sticks very closely to the real life story of Augustine. The best part of the book is that he captures Augustine’s search for meaning. This is the part that for me is autobiographical. The events in my life may have been different, but the struggle and the questions were the same. We are all familiar with Augustine’s later work as a priest, bishop and theologian. 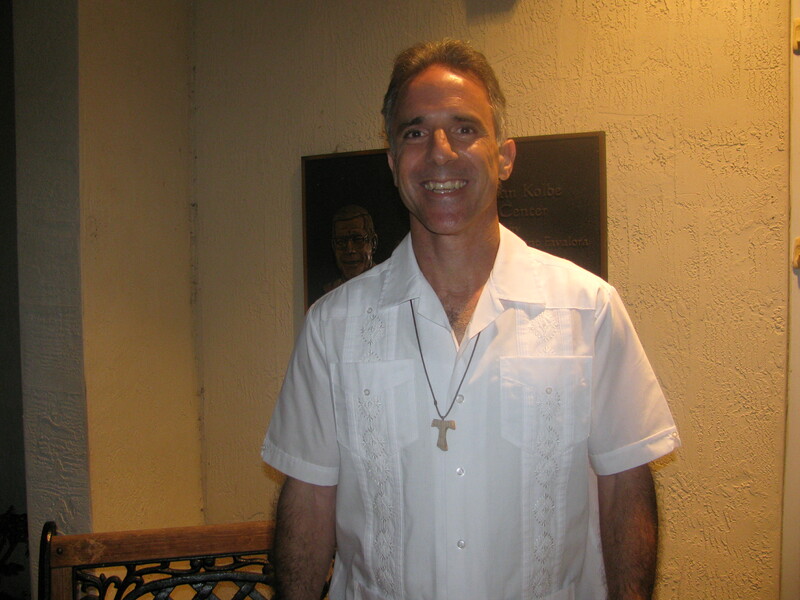 He tells us quite a bit about his journey toward conversion in Confessions. But Wohl gives a voice to Augustine’s anguished search for meaning and ultimately for God. You can hear it. Why is a Franciscan of Life pushing this book? I’m not exactly pushing a novel as much as I am pushing a reality. For many of us, Augustine’s journey is not a foreign experience. Many of us have struggled trying to find what we believed to be evasive truth. We go from one thing to another in life, always believing that we will find happiness and the fulfillment of every desire. This can be a maddening search. We jump from relationship to relationship, from job to job, from one city to another, from parish to parish and often from one religious tradition to the next. Each one promises to be the landing pad for which we search. This was also Augustine’s journey. What is equally compelling about this work is that it presents to us an Augustine who is very human and a good man at the deepest level of his being. We tend to look on Augustine’s life before he became a Christian as one of dissipation and promiscuity. It’s too easy to condemn a man whom one does not understand. 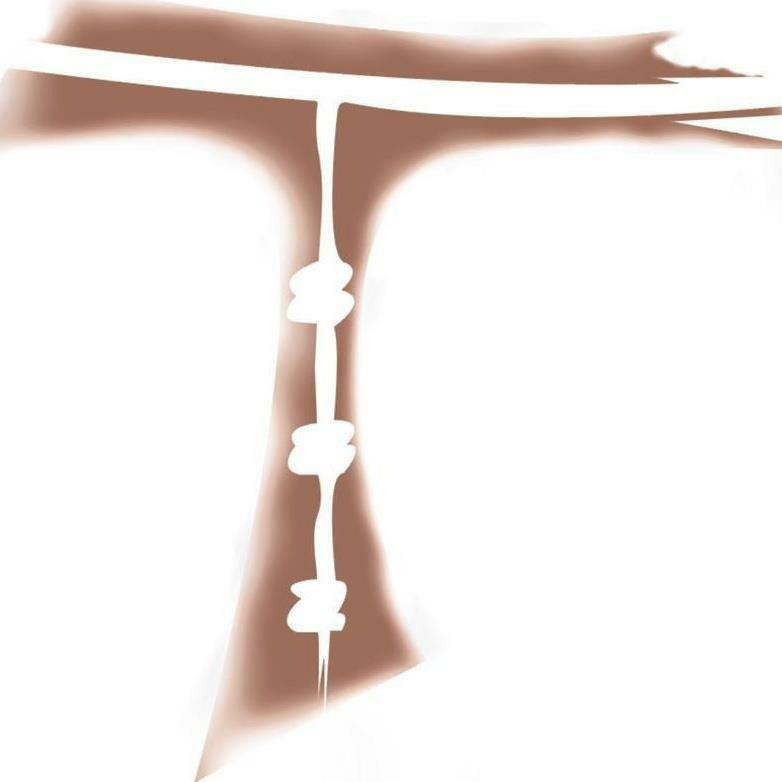 It’s too easy to sit on the chair of moral judgment and look down upon a person without knowing the struggles and deep anguish of the human soul. It’s also too easy to condemn a man’s journey, because we can’t see Grace gradually reeling him in, like a fish who struggles to get off the hook and back into the water; but God’s love is more powerful than the fish. At the end of the day, the fish will relax and yield to Christ the Eternal Fisherman. The story of Augustine’s conversion is a story of hope for those of us who have not yet arrived, for those of us who struggle with sin, questions, failures, human weakness, and moments of darkness dispersed among the moments of light. Augustine’s story should be a source of hope for those of us whose hearts are restless and who will not rest until they rest in God. Augustine’s story is about the power of God’s love and a man’s refusal to give up his search for Truth. Love will never give up on us while we live. His grace will fight to conquer our hearts and minds, our bodies and souls. If we lose it’s because we have given up the search for Truth. We have settled for less than perfect love. God’s love for us and our determination to find absolute and living Truth is all we need to arrive at union with the Divine. Love and the search for Truth is painful. But, when the time is right, we will reach the summit of the mount and our lives will be transfigured by Him who is Truth itself. St Augustine and St Monica, pray for us. St. Francis conformed himself closely to Christ. His deep prayer life, fidelity to the Church and detachment from the secular culture serves as an inspiring example for my own vocation as a husband and father. As a husband, I am called to love my spouse unconditionally. In doing this, I model Christ’s love and desire for the salvation of my wife’s soul as well as my own. My Franciscan vocation deepens my commitment to this salvific mission of love by establishing a prayer life that is centered on communing with God Himself. With a vibrant prayer life, God’s love and Spirit can blow across my everyday life as it is lived out along side of my wife. I am blessed with four children, each reflecting the beauty and love of God. Guarding my children’s spiritual and physical development requires the protective and providential embrace of a father. Saint Francis became the spiritual father of many brothers and sisters by caring for their souls. By embracing a poverty of spirit and a detachment from material possessions, Saint Francis serves as a constant reminder on how to detach from our own secular culture and to focus on providing for the spiritual life of our families. My Franciscan journey, with its spirit of poverty that reaches upward and outward, mediates God’s grace and peace. In letting go and emptying myself from selfish preoccupations and secular concerns, I’m discovering how to spread the joy and peace that St. Francis so beautifully exemplified as a spiritual father to the sons and daughters of the Church. Charged with the Franciscan spirit, I hear a call to reach outward and to embrace the faith and mission of the Church. The faith of the Church has helped me grow in holy attentiveness to God’s plan for me, my family and the wider community of God’s people. We may ask ourselves: what is the basis, the origin, the root of peace? How can we experience that peace within ourselves, in spite of problems, darkness and anxieties? The reply is given to us by the readings of today’s liturgy. The biblical texts, especially the one just read from the Gospel of Luke, ask us to contemplate the interior peace of Mary, the Mother of Jesus. During the days in which ‘she gave birth to her first-born son’, many unexpected things occurred: not only the birth of the Son but, even before, the tiring journey from Nazareth to Bethlehem, not finding room at the inn, the search for a chance place to stay for the night; then the song of the angels and the unexpected visit of the shepherds. In all this, however, Mary remains even tempered, she does not get agitated, she is not overcome by events greater than herself; in silence she considers what happens, keeping it in her mind and heart, and pondering it calmly and serenely. This is the interior peace which we ought to have amid the sometimes tumultuous and confusing events of history, events whose meaning we often do not grasp and which disconcert us. 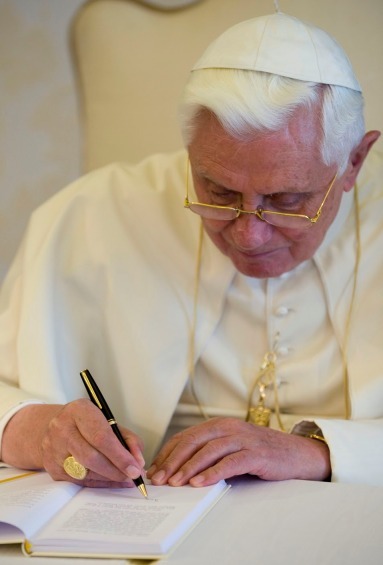 … Here, dear brothers and sisters, is the foundation of our peace: the certainty of contemplating in Jesus Christ the splendour of the face of God the Father, of being sons and daughters in the Son, and thus of having, on life’s journey, the same security that a child feels in the arms of a loving and all-powerful Father. The splendour of the face of God, shining upon us and granting us peace, is the manifestation of his fatherhood: the Lord turns his face to us, he reveals himself as our Father and grants us peace. Here is the principle of that profound peace – ‘peace with God’ – which is firmly linked to faith and grace, as Saint Paul tells the Christians of Rome. Nothing can take this peace from believers, not even the difficulties and sufferings of life. Indeed, sufferings, trials and darkness do not undermine but build up our hope, a hope which does not deceive because ‘God’s love has been poured into our hearts through the Holy Spirit which has been given to us’.